Ok, I’ve loved pickles since before I can remember. There are pictures of me when I was 4 or 5 and I’m just chomping on some pickles on the merry-go-round in my neighborhood. I just love em’. 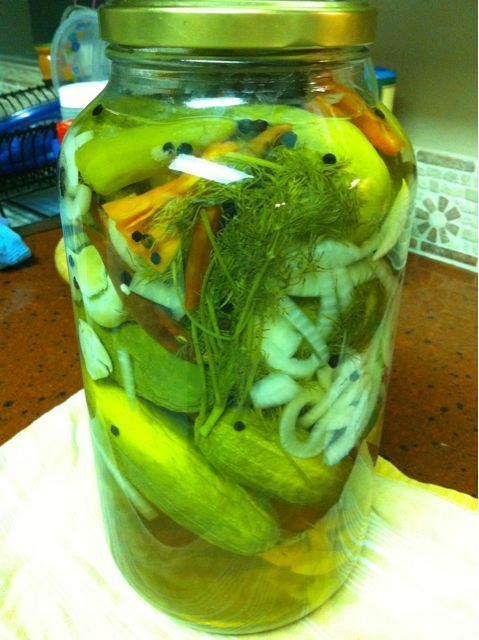 So I’m off to make my own pickles! 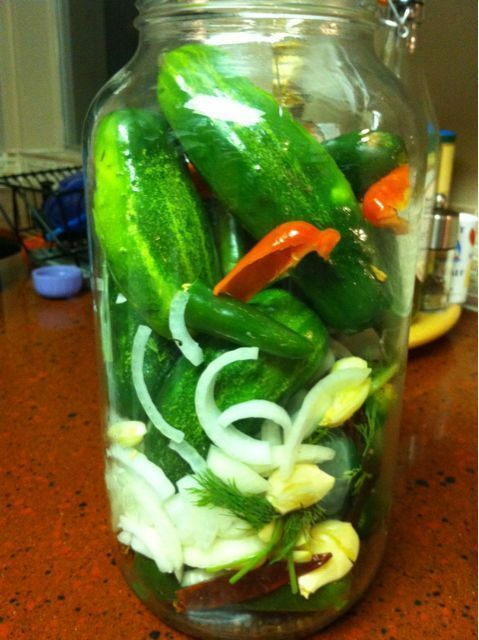 I research a quick pickling process. Boil water, vinegar, salt, sugar til all are dissolved. Add this to jar with cukes and above mentioned seasonings. 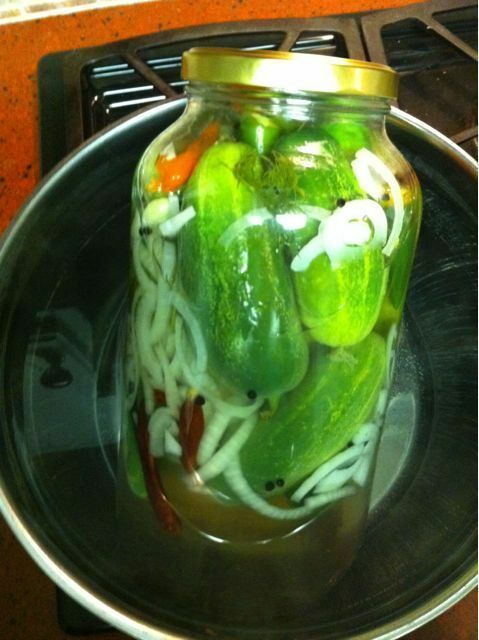 Pickling “process”: boil a large pot of water. Place sealed jar in for 15 minutes. This must start the process of breaking down ingredients and letting the flavors mix. Sit and WAIT 3 weeks!!! Ah the anticipation is killing me. Come on august 9th!!! ~ by hungryinhouston on July 20, 2010.
you put equal parts water & vinegar. Since i had such a big jar to fill i did 4 cups of each. Then 1/2 cup non-iodide salt, then 1/4 c sugar. cant wait to eat them! can’t wait to hear how they are! We have a new site and two new blogs!